A recent survey shows almost all large police agencies in the United States are either using body-worn cameras (BWCs) or in the process of implementing the technology). Many of these agencies give similar explanations for why they have chosen to embrace this new law enforcement tool—“… to gather evidence, increase transparency, and bolster public confidence,” according to Washington County (Oregon) Sheriff Pat Garrett,ii for example. These sentiments align with the U.S. Department of Justice, which has dedicated $43 million in the past two years to equip agencies with body worn cameras to “promote transparency and ensure accountability, clearing the way for the closer cooperation between residents and officers that is so vital to public safety,” according to U. S. Attorney General Loretta Lynch.iii Yet if one of the key goals of these police recordings is to rebuild and strengthen trust between police officers and members of the community, what impact does withholding the BWC video have on those goals? The new BWC law in North Carolina (House Bill 972) may be an indication. The North Carolina law requires a court order before a police agency can release video of a critical incident. The presumption of the new law is that videos from Body Worm Cameras will not be freely released; the burden will be on those seeking their release. Instead of supporting transparency, the law promotes secrecy. How can this policy foster greater trust? Case after case this summer, including the officer-involved shooting in Charlotte, North Carolina, showed that delay in releasing video after a high-profile, critical incident can lead to protests and violence in a city—and, ultimately, across the nation. In the absence of disclosure, many local community members will assume police misconduct, perhaps incorrectly. The delay created by having to obtain a court order could destroy the very trust BWCs are supposed to bolster. The long-held standard of not releasing evidence while an investigation is ongoing has failed to shield agencies from public criticism. In fact, the emerging standard regarding BWCs has actually eroded trust, created conflict, and drawn protestors to various cities from across the country. Unfortunately, like most issues in law enforcement, the “one-size-fits-all” approach doesn’t address every scenario that may unfold in the dynamic world of policing. If transparency and accountability were the sole purpose of body worn cameras, law enforcement leaders could easily resolve the issue of releasing footage. However, police commanders must consider other major factors stemming from a critical incident—most notably, the privacy of the people involved and the integrity of the investigation. Los Angeles Police Chief Charlie Beck voiced strong objections to releasing BWC footage, relying on Los Angeles Police Department (LAPD) policy that prohibits the public release of BWC footage. “Families call us when they’re in crisis. Victims call us when they’ve had horrific things done to them by evil people. And to make those things public re-victimizes them, doesn’t serve justice,” Beck explained.iv This rationale has now been formalized into law in North Carolina; decisions about whether to release videos have been taken away from law enforcement and placed in the hands of a judge. This process will inevitably prolong the decision, especially if there are competing views on the propriety of the release. Despite Chief Beck’s rationale, it is difficult to see how such delays will enhance the relationship between law enforcement and the community. In fact, an organization dedicated to protecting the basic rights of individuals strongly disagrees with Chief Beck’s position: The American Civil Liberties Union of Southern California sent a letter to the U.S. Department of Justice last year urging it to not provide the LAPD with grant money for body-worn cameras: “LAPD’s policy provides no transparency and threatens to taint the integrity of investigations and undermine the public trust,” according to the ACLU letter.v The ACLU believes withholding footage should be the exception rather than the rule. So what is the solution? Should families have a voice in whether the footage of their private crises should be made public? We have seen cases this summer in which a family believes there is a benefit to releasing the footage. Protecting the family or victims may not always be a sufficient reason for withholding footage. In the Charlotte, North Carolina case, the family released footage before law enforcement chose to do so. Of course, there will certainly be cases where a family adamantly opposes the release of their most painful and personal moments. Some state laws prohibit the release of footage that depicts a person’s death. In these cases, releasing a portion of the footage may balance the concern of privacy and the need to build and maintain community trust in the police department. Some believe that transparency can be achieved by showing the footage to a select group of people such as a police oversight committee or prosecutors. But does this go far enough to assuage the growing tensions between law enforcement and the people living in the most heavily policed areas of a community? At one time not too long ago, law enforcement could conduct its investigation on its own time frame without public pressure for accountability and transparency. Many police chiefs could operate under the blind “trust me” policy. However, community standards and expectations have evolved, and the 24-hour news cycle and social media have raised these expectations along with the threshold for these standards. Countless Americans surrender their privacy on a regular basis to share their personal moments online. The new standard of constant communication has amplified the expectation that governmental authority should be held to the same standard of openness. Some in law enforcement would argue that the whims of people on social media shouldn’t impact their decision making process. Yet the reality is that social media has changed the way people live, communicate, and conduct business. Social media has become the number-one activity on the Web. If Facebook were a country, it would have the third largest population in the world. Just as technology for this ceaseless communication has evolved at mind-numbing speed, haven’t investigative tools also advanced at the same rate, allowing police to streamline and expedite investigations? That said, there are always exceptions in law enforcement, cases where releasing certain portions of BWC footage could jeopardize the investigation. Yet in cases such as these, it’s critical to tell the public and the media quickly—with as much detail as possible—why the video cannot be released. While there is no simple answer in the complicated debate of whether to release BWC footage, nothing can replace in-depth thinking about the issues, possible scenarios, and consequences—all of which should be included in a police agency’s policy regulating this new tool. This is a challenging and difficult time for law enforcement. Yet challenging times have ushered in an opportunity for growth and change. Many law enforcement leaders around the country have taken the step of releasing video on the heels of critical incident to restore public confidence and maintain peace in a community. In Fresno, California, Chief Jerry Dyer released footage after an officer-involved shooting this summer for “the greater good of the community.”vi The protests in his city remained local and unremarkable, while the opposite occurred in Charlotte after an officer-involved shooting spurred tension and turmoil. The technology is only as strong as the policies and leaders who govern it. By removing decision making from the hands of law enforcement, the new law in North Carolina may create delays that will exacerbate the problems and perhaps detract from law enforcement’s best intentions for BWCs: to build trust with the community. i Department of Homeland Security’s Office of Emergency Communications (OEC), Major Cities Chiefs’ and Major County Sheriffs’ Associations, Survey of Technology Needs – Body Worn Cameras, (Report Prepared by Lafayette Group December 2015), 2-8. As a technical advisor for U.S. Department of Justice, Office of Justice Programs, Laura McElroy shares best practices in building collaborative partnerships and trust through community engagement, media and social media strategies. 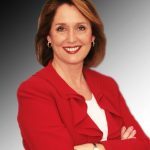 She spent eleven years as the Director of Communications for the Tampa Police Department and sixteen years as an award winning reporter and anchor.